Introducing Chicken Paprikash Stew. 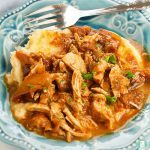 If you haven’t tried Paprikash chicken before, you’re about to meet your new favourite comfort food! The flavours in this are warm and homey. This feels like the kind of dish that your aunt or grandma would have made for you when you were growing up. It’s the kind of meal you want to sit down with on a cold winter day. 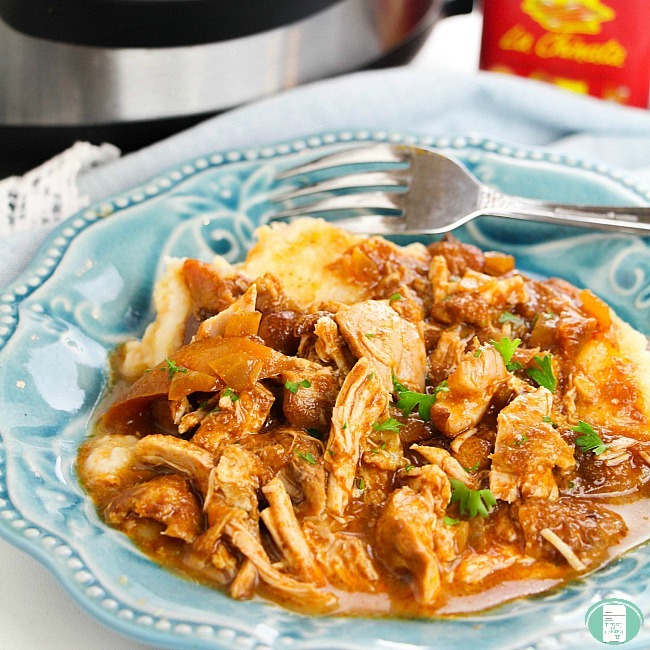 And it takes almost no time at all for this to cook because it’s an Instant Pot recipe. 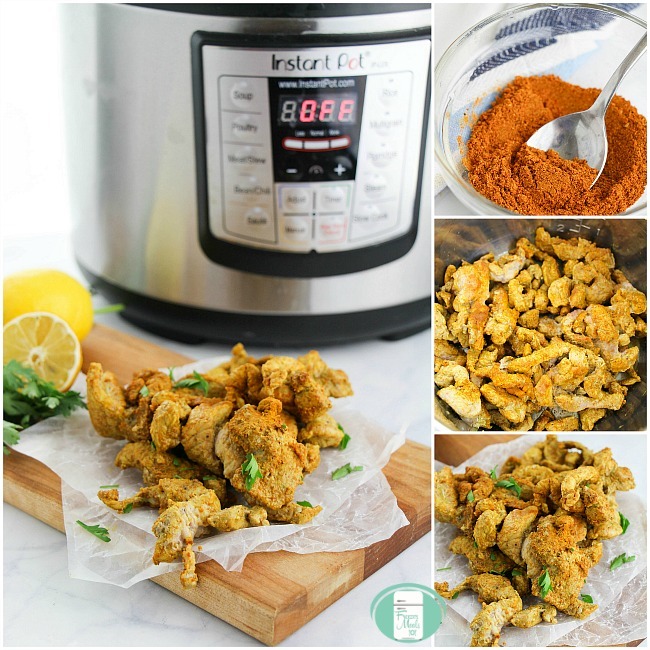 While Instant Pot doesn’t truly mean “instant” (I know. I was disappointed too! ), it’s pretty darn close! You can have dinner on the table in less than 20 minutes. 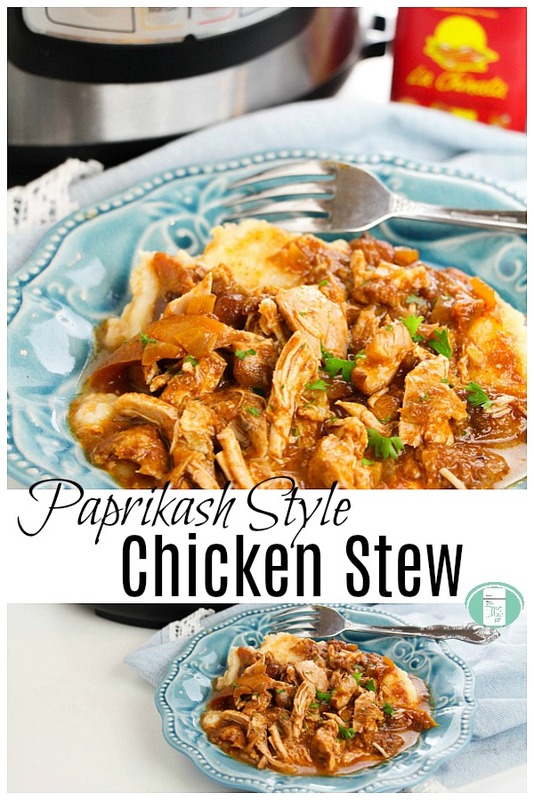 Trying new recipes is always a gamble, but I think that if you like chicken stew and you like the taste of paprika, you’re going to love this Paprikash chicken stew! As I am not Hungarian, I wondered the same thing myself when I first heard the term! The dish originates in Hungary. It’s name (Paprikás Csirke) literally translates into Paprika Chicken. The colour of the dish comes from the main spice which is paprika, so the name is perfectly logical once you understand the translation. Place the oil in the Instant Pot and select the Sauté setting. Add the chopped onion and sauté for 2 minutes, then add the garlic for 1 minute more. In a medium mixing bowl, stir the tomato paste and sour cream into the broth or water before adding them all to the Instant Pot. Secure the lid and select the “Soup/Stew” setting for 10 minutes. 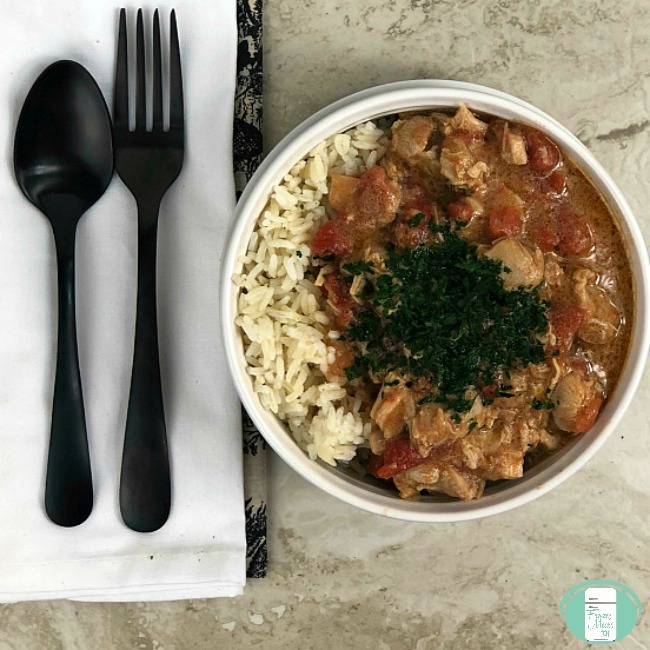 Serve the chicken paprikash stew in bowls with a dollop of sour cream or alongside some mashed potatoes. *You can substitute greek yogurt for the sour cream if you prefer. This meal is freezer friendly. 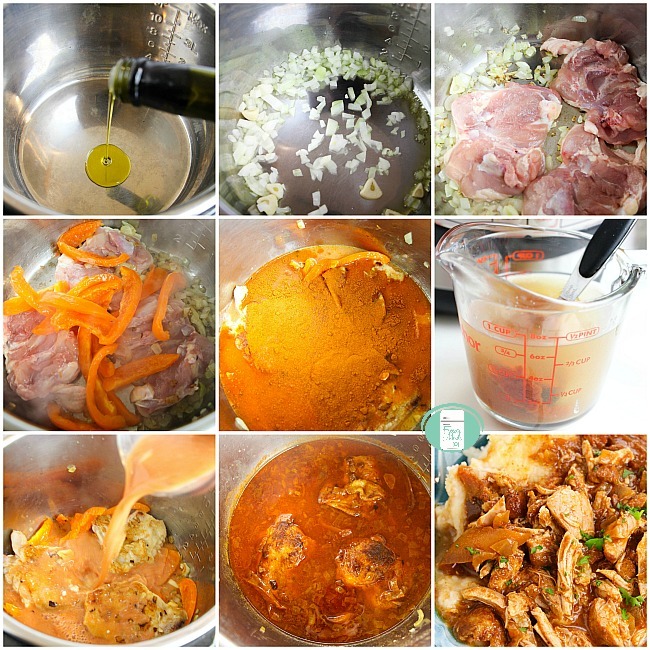 Transfer the cooked chicken paprikash into a freezer safe container or large resealable freezer bag. Remove the excess air and seal before freezing. On cooking day, thaw and reheat on the stovetop or in the microwave. 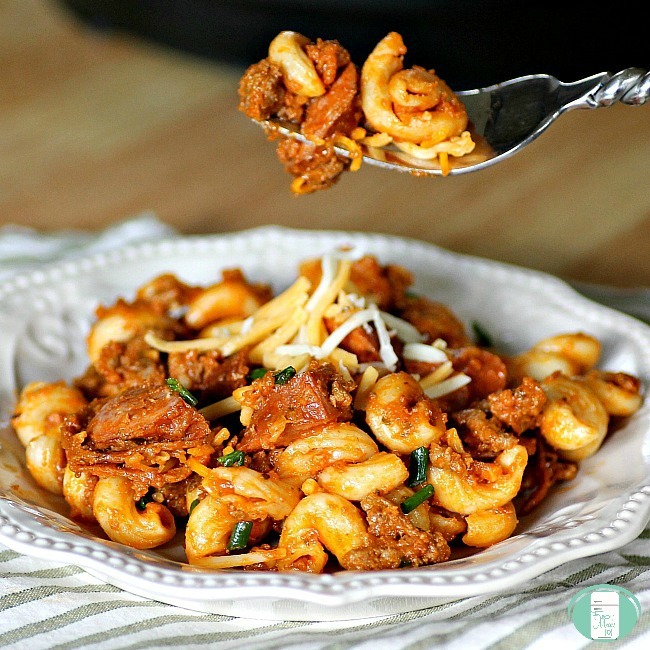 While this dish is freezer friendly, you can find actual freezer to Instant Pot recipes along with shopping lists and printable labels in our Instant Pot Freezer Meal Plan. Secure the lid and select the "Soup/Stew" setting for 10 minutes. Make Ahead Instructions: This meal is freezer friendly. 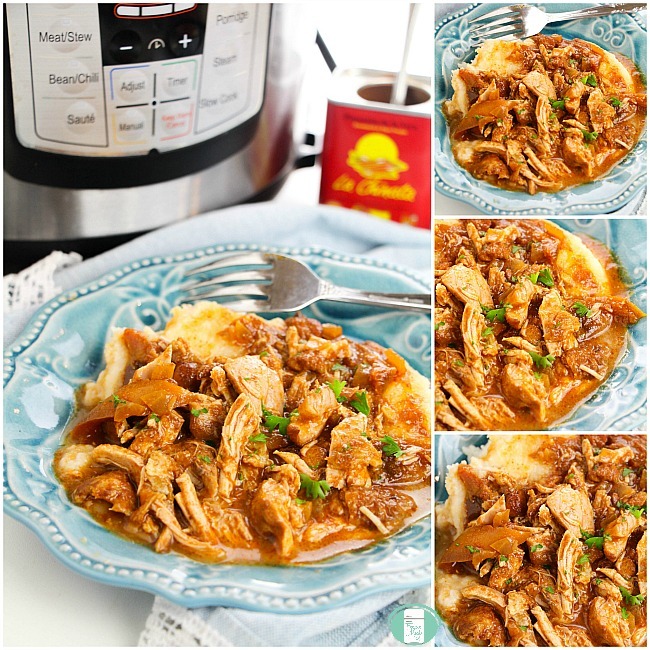 Transfer the cooked chicken paprikash into a freezer safe container or large resealable freezer bag. Remove the excess air and seal before freezing. On cooking day, thaw and reheat on the stovetop or in the microwave.